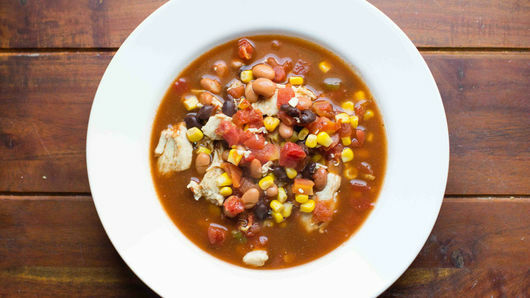 In slow cooker, stir together all ingredients until combined. Cover; cook on Low heat setting 6 hours. Garnish with your favorite taco toppings—sour cream, chopped green onions, shredded cheese or jalapeños! 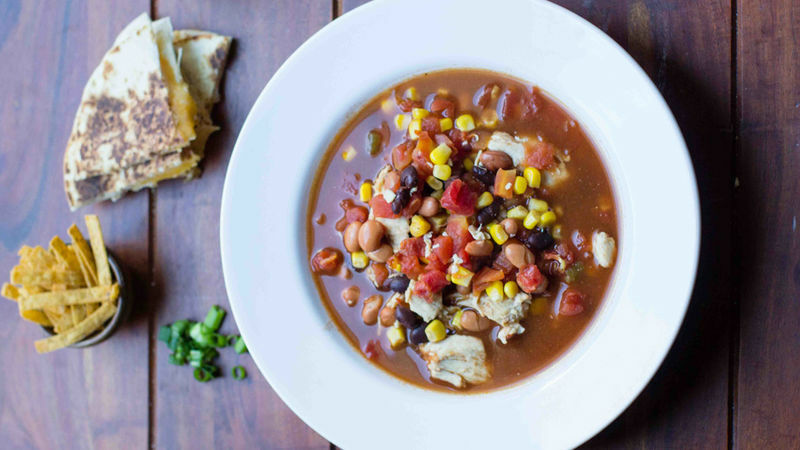 Serve with cheese quesadillas to dip into the soup. 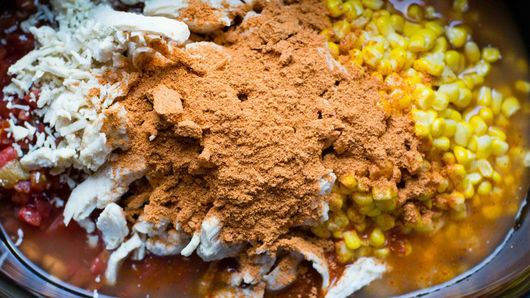 Cooked shredded chicken is a quick and economical way to make dinner. Use a deli rotisserie chicken for flavor and ease.